Articles of Interest | Eye Pro, Inc.
Face of EYE PRO Crowned Miss Indiana 2013! May 31, 2013 – EYE PRO, Inc., world leader in eyewear and makers of WINK-EASE, VIEWkeepers, Fresh-Ease, and WINK-EASE Dark, sends “hartfelt” congratulations out to Emily Hart, who was crowned Miss Indiana USA 2013 on October 14, 2012 at The Renaissance Indianapolis North Hotel in Carmel, Indiana. She will represent Indiana in the Miss USA 2013 beauty pageant on June 16th in Las Vegas at the Planet Hollywood resort and Casino, competing for the right to represent the United States in the Miss Universe 2013 pageant. 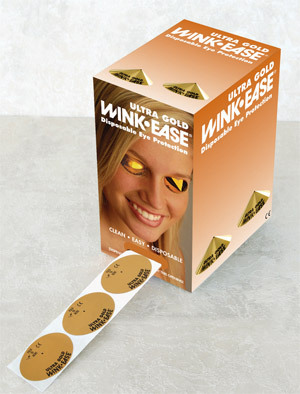 Emily’s face may be familiar to many of you in the tanning industry – she is the face of EYE PRO – her image on Wink-Ease, Viewkeepers and Fresh-Ease product boxes. Posted in Articles of Interest, Articles of Interest, For Salon Owners, For Tanners | Comments Off on Face of EYE PRO Crowned Miss Indiana 2013! 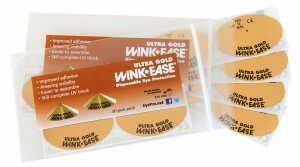 EYE PRO Donates $2,500 from Sales of WINK-EASE Leopard! 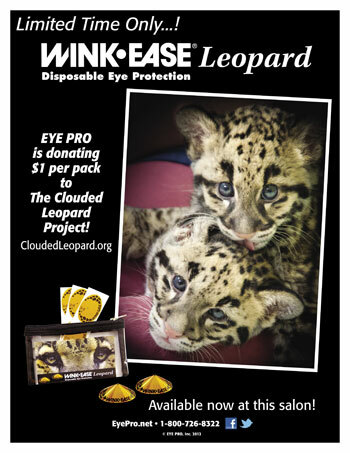 April 1, 2013 – EYE PRO, Inc., world leader in eyewear and makers of WINK-EASE, VIEWkeepers, Fresh-Ease, and WINK-EASE Dark, is helping raise money to save the endangered Clouded Leopards with its new eye protection – WINK-EASE Leopard – and distributors and salons have helped too! For a limited time only, EYE PRO added leopard spots to its famous WINK-EASE eye protection, and are offering 30 pair of WINK-EASE Leopard in a special zipper pack. For every pack purchased, $1 is donated to the Clouded Leopard Project to help rescue efforts of this rare Asian cat. 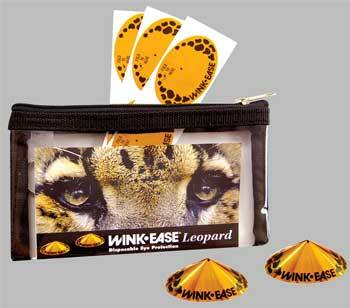 Posted in Articles of Interest, Articles of Interest, Exotic Animal Advocacy, For Salon Owners, For Tanners | Comments Off on EYE PRO Donates $2,500 from Sales of WINK-EASE Leopard! WINK-EASE Leopard Sales Help Save Clouded Leopards! January 3, 2013 – EYE PRO, Inc., world leader in eyewear and makers of WINK-EASE, VIEWkeepers, Fresh-Ease, and Wink-Ease Dark, is helping raise money to save the endangered Clouded Leopards with its new eye protection – Wink-Ease Leopard – and salons can help too! 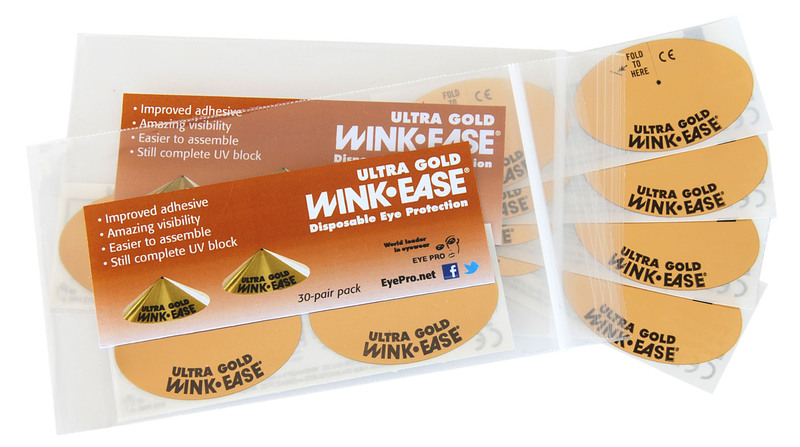 “For a limited time only, we’ve added leopard spots to our famous Wink-Ease eye protection, and are offering 30 pair of Wink-Ease Leopard in a zipper pack,” said EYE PRO President Brenda Fishbaugh. “These are great for salons to use for promotions – and for every pack purchased, we will be donating $1 to the Clouded Leopard Project to help rescue efforts of this rare Asian cat,” continued Fishbaugh. Posted in Articles of Interest, Articles of Interest, Exotic Animal Advocacy, For Salon Owners, For Tanners | Comments Off on WINK-EASE Leopard Sales Help Save Clouded Leopards! November 1, 2012 – EYE PRO, Inc., world leader in eyewear and makers of WINK-EASE, VIEWkeepers, Fresh-Ease, and Wink-Ease Dark, has joined the new business movement to operate as a virtual office. “Just like all businesses, we are always looking for ways to cut costs and operate more efficiently,” says Brenda Fishbaugh, EYE PRO president for 22 years. “With constant technological advances and our how our business is structured, taking our business from brick-and-mortar to a virtual environment makes perfect sense,” Fishbaugh continued. 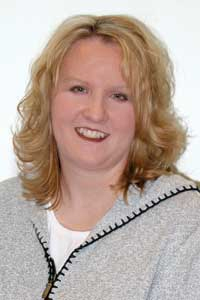 “The entire change should be transparent to our customers,” says Jackie DeWald, EYE PRO office manager. “Our great delivery response, phone service, and access will be uninterrupted, and our customers will still see us at the trade shows,” DeWald expains. EYE PRO products will continue to ship from our manufacturing site in Michigan, and all phone numbers and emails are the same. Only the EYE PRO mailing address will change during this transition. The new EYE PRO mailing address is EYE PRO, Inc., 429 E Dupont Road #252, Fort Wayne, Indiana 46825 and is effective November 1, 2012. Please note that the fax number is no longer in service, as most businesses email instead of fax. 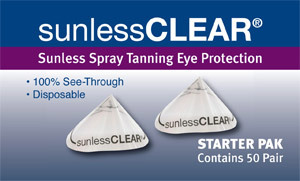 For more information on WINK-EASE and VIEWkeepers disposable eyewear, new Wink-Ease Dark disposable eye protection for red light therapy, and Fresh-Ease Refreshing Body Cloths for after tanning, visit EyePro.net or contact EYE PRO at 1-800-726-8322. Continue to follow and “like” EYE PRO on Facebook (Wink-Ease/Eye Pro) and Twitter to learn about special salon offers and promotions. Posted in Articles of Interest, Articles of Interest, For Salon Owners, For Tanners | Comments Off on What’s Your Cause? WINK-EASE Leopard To Help Save Clouded Leopards! EYE PRO, Inc., world leader in eyewear and makers of WINK-EASE, VIEWkeepers, Fresh-Ease, and Wink-Ease Dark, have created a new eye protection product to raise money to save the endangered Clouded Leopards. 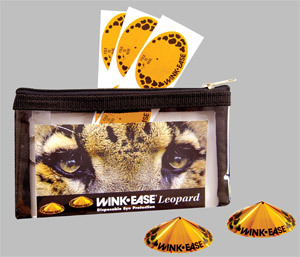 “For a limited time only, we’ve added leopard spots to our famous Wink-Ease eye protection, and are offering 50 pair of Wink-Ease Leopard in a zipper pack,” said EYE PRO President Brenda Fishbaugh. “These are great for salons to use for promotions – and for every pack purchased, we will be donating $1 to the Clouded Leopard Project to help rescue efforts of this rare Asian cat,” continued Fishbaugh. For more information on the Clouded Leopards and the efforts to save them, visit, CloudedLeopard.org. The new, “limited time only” Wink-Ease Leopard, along with EYE PRO’s other disposable products, is now available from your favorite distributor. Posted in Articles of Interest, Articles of Interest, Exotic Animal Advocacy, For Salon Owners, For Tanners | Comments Off on WINK-EASE Leopard To Help Save Clouded Leopards!